Orthokeratology lenses have not only been shown to improve vision clarity, but also correct astigmatism. 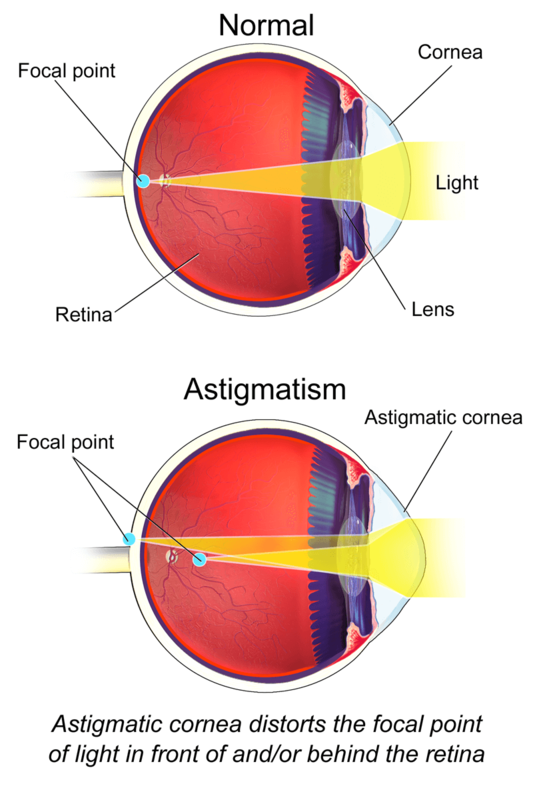 Those with astigmatism will experience blurry vision from all distances due to the front surface of their eye or the lens inside the eye being curved in different directions from each other. Astigmatism often affects children, making it difficult for them to concentrate in class or participate in sports. The Ortho K Group provide Ortho K for astigmatism, which is able to correct vision distortion in vertical and horizontal directions. Ortho K can provide satisfactory results in low to moderate cases of astigmatism (generally up to -2.50). Convenient for those who play sports, especially contact or water sports where glasses are unsuitable. Fuss-free for people working in dusty or dirty environments that make it difficult to care for glasses or regular contact lenses. Comfortable for people who cannot wear contact lenses throughout the day due to dry eyes, allergies or environmental factors. Suitable for children and teens who may otherwise feel uncomfortable with wearing glasses or may not be able to properly care for their contact lenses. Simply wear your orthokeratology lenses overnight to enjoy clear vision during the day, without the need for bulky glasses or uncomfortable day time contact lenses. Contact the Ortho K Group today for bespoke Ortho K for astigmatism to finally enjoy freedom from the irritating symptoms of astigmatism!